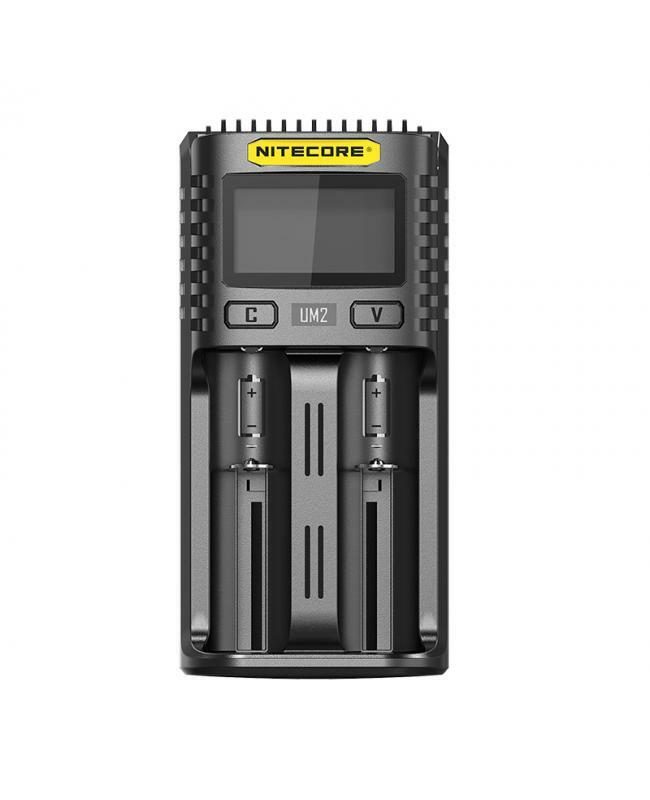 The Newest Nitecore UM2 Intelligent USB Battery Charger, made of durable and fire-retardant PC material, optimal structure for better heat dissipation. 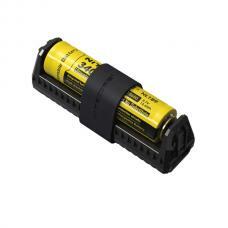 the nitecore charger with a large LCD display for real-time charging information. it with dual charging slots, single slot max output current up to 1500mA, the new QC mode enable the max output up to 3000mA, allow the batteries can be charged fully in short time. the charging program specially optimized for IMR batteries, allow the UM2 chargers compatible with almost IMR, Li-ion, LiFePO4, NI-MH, NI-CD batteries. 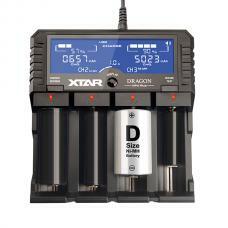 it will automatically select the working modes from CC, CV, -DV/DT according to the battery type and capacity. 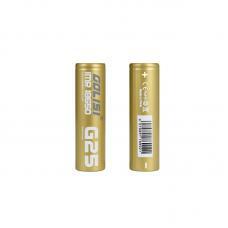 vapers also can change the charging setting manually. long press the C button to enter the charging setting mode, the charging voltage can select from 3.7V, 4.2V, 4.3V, and the charging current can select from 1000mA or 1500mA.